Syrian War Report – March 22, 2019: Russian Attack Helicopters Purge Militants In Northern Hama 4.6666666666667 out of 5 based on 12 ratings. 12 user reviews. The Russian Aerospace Forces have continued their strikes on terrorist infrastructure in the Idlib de-escalation zone, according to reports appearing from the ground. On March 21, alleged Russian warplanes delivered strikes on militant targets near the city of Jisr al-Shughur and the town of Frikeh in northwestern Idlib and the towns of Sheikh Mustafa, Kafr Rumah, Maar Tahroma, al-Hamidiah, Hish, Bsida, Faqie, Qasabiyeh and Tal’as in the southern part of the governorate. Separately, two Mi-24P attack helicopters of the Russian Aerospace Forces stuck several militant positions near the town of al-Lataminah in northern Hama. Pro-militant sources provided little details regarding casualties among militants and destruction of their facilities. According to them, all such attacks hit bakeries and hospitals only. 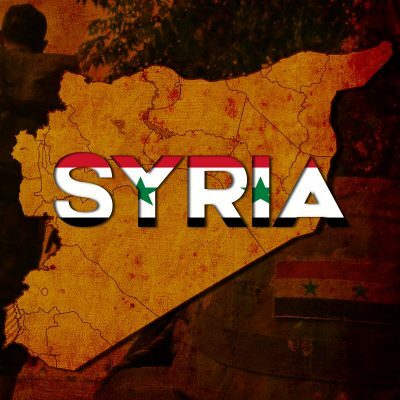 In turn, sources close to the Syrian military say that the strikes were aimed at fortifications, headquarters, communication centers and ammo depots belonging to radical groups, such Hay’at Tahrir al-Sham, Jaysh al-Izza and the Turkistan Islamic Party. According to the Russian media, a prototype of the Mi-28NM attack helicopter was deployed at Hmeimim airbase in Syria for testing purposes. The Mi-28NM is a modernized variant of the original Mi-28N “Night Hunter.” The new variant features new nose hull, new weapon control systems and new radar. It is also designed to use advanced precision-guided weaponry. According to reports, the Russian military plans to tests the helicopter’s new equipment and weapons in the high temperatures and dust storms of the Syrian desert. A recent report by the Russian TASS news agency revealed that the Mi-28NM will be armed with a new guided missile, dubbed “Article 305.” The missile features electro-optical seeker, an internal navigation system (INS) and will has a range of more than 25 km. It’s unclear if the new missile will be also tested in Syria. The Syrian Democratic Forces (SDF) and the US-led coalition have in fact suppressed all ISIS resistance in the Euphrates Valley. A security operation is ongoing in the recently captured area near Baghuz. In the coming days, it is possible to expect a formal declaration on this issue from the SDF or the US-led coalition. President Donald Trump said on March 21 that it is time for the United States to fully recognize Israel’s sovereignty over the Golan Heights. “After 52 years it is time for the United States to fully recognize Israel’s sovereignty over the Golan Heights, which is of critical strategic and security importance to the State of Israel and Regional Stability,” Trump wrote on Twitter. Several U.S. politicians, including Senator Lindsey Graham, already vowed their support to this idea. Taking account the previous actions of the Trump administration, the recognition of the occupied Golan Heights as a part of Israel is a possible move. It will likely lead to the further growth of tensions in the region. Cool, cool and cool; it gives me certain twinges down below that.